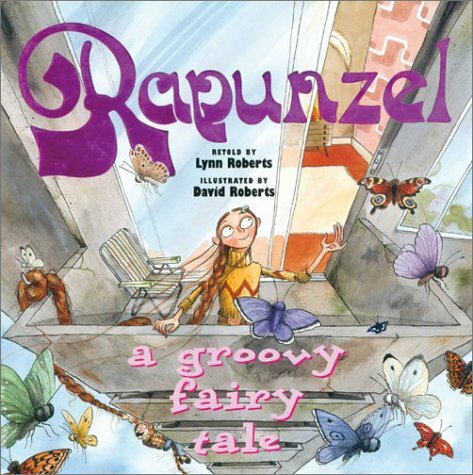 This 2003 retelling of the classic story is another retro-style offering from Lynn and David Roberts, who also produced Cinderella. Rapunzel is a 1970s teenager living with her deeply unpleasant Aunt Edna. Edna is a leather-wearing crow-toting semi-sadistic dinner lady who dishes out vile meals to the children at school then sends Roach (the crow) to steal their scarves, belts and hair ribbons. Clearly a control freak, she keeps Rapunzel locked up at the top of their tower block. The elevator is broken, so naturally it is Rapunzel’s long red hair that she uses to scale the outside of the building instead of taking the stairs. One day, a young lad called Roger (who also happens to be the dead cool lead singer of the local band, Roger and the Rascals) sees Edna climbing Rapunzel’s hair and decides to investigate. Rapunzel and Roger quickly become friends, and plan to escape so Rapunzel can explore the city she has never seen. But when Edna finds out their plans, things look very bleak for the young friends. David Roberts’ illustrations are once again spot on in their recreation of the period. The characters’ clothes in particular are beautifully drawn, and Roger’s check, furred jacket, bell-bottoms and platform shoes are very apt. The design of the tower block too has many vintage elements: there are three flying ducks on the wall of the living room, and Rapunzel’s room is postered with images of John Travolta, Debbie Harry and ABBA. When Rapunzel is banished from home, the tone becomes darker. Dubious-looking punks hang out on a street corner and two homeless people huddle around a brazier. The text is fluent and detailed, whilst remaining straightforward. The innocent but loving relationship between Rapunzel and her ‘prince’ is pitched just right for the age of those reading it, and it is nice to see a picture book promoting an uncomplicated close friendship between a boy and a girl. There is even a strike for feminisim at the end as Rapunzel sets up her own business – making wigs, naturally! An old story well-retold and a beautiful example of the illustrator’s art.